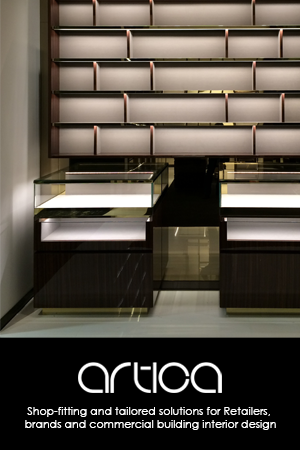 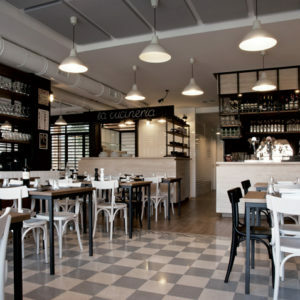 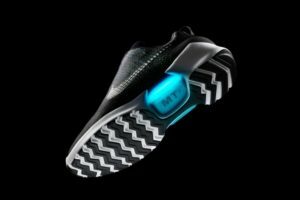 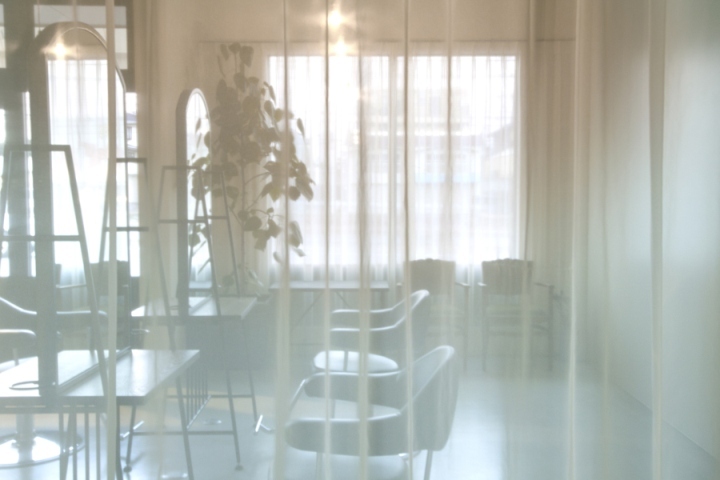 The design concept is “European antique”. 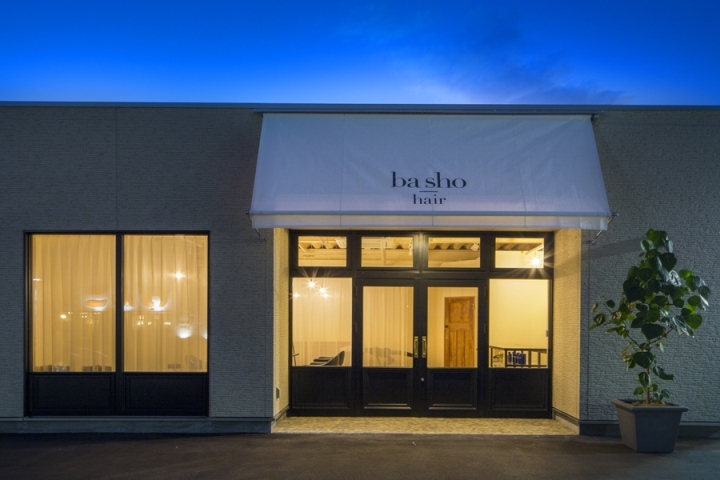 The entrance approach is designed to enhance customers’ expectations; the existing aluminum sash at the entrance is covered by decorative molding; and the porch is finished with marble mosaic; entering the interior space, you see antique furniture and door, as well as a shampoo area loosely divided behind delicate lace curtains waving in the wind. 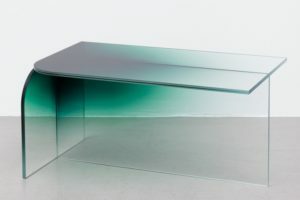 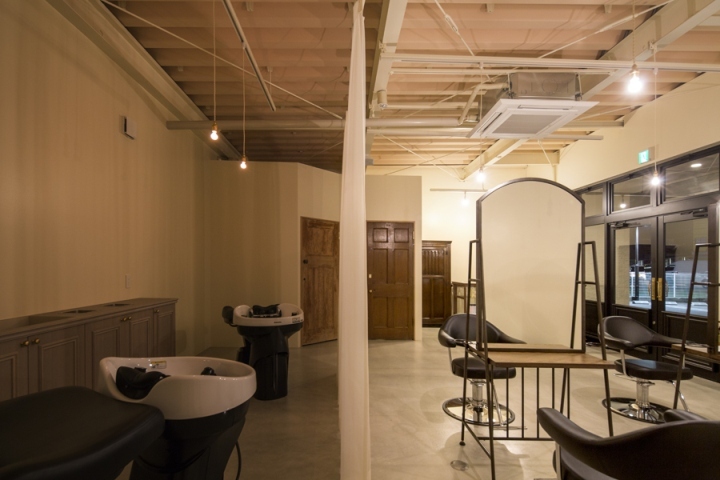 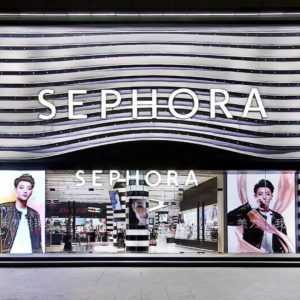 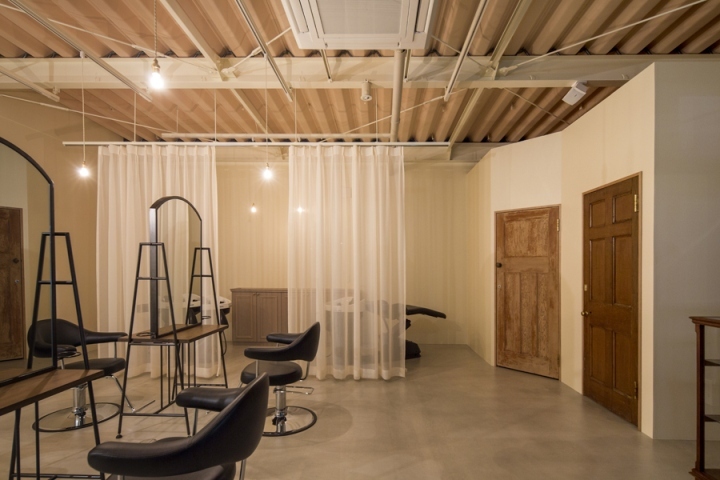 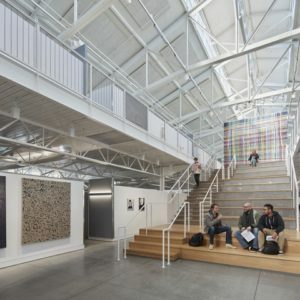 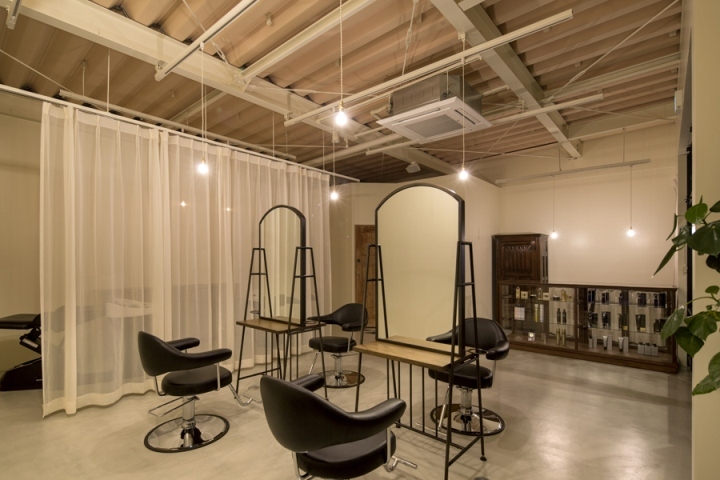 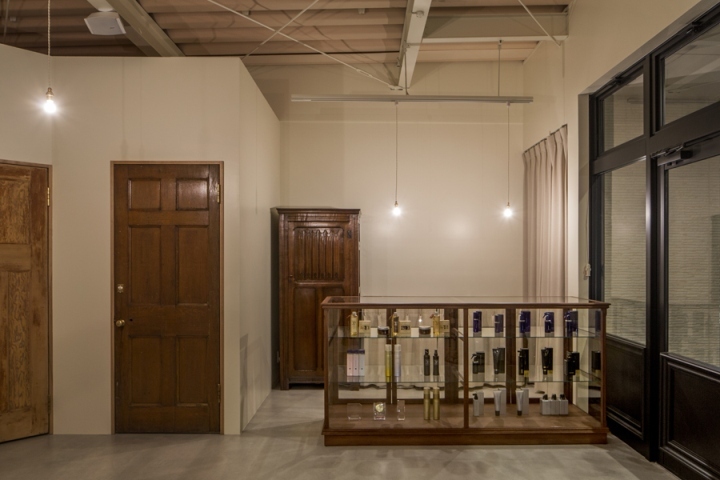 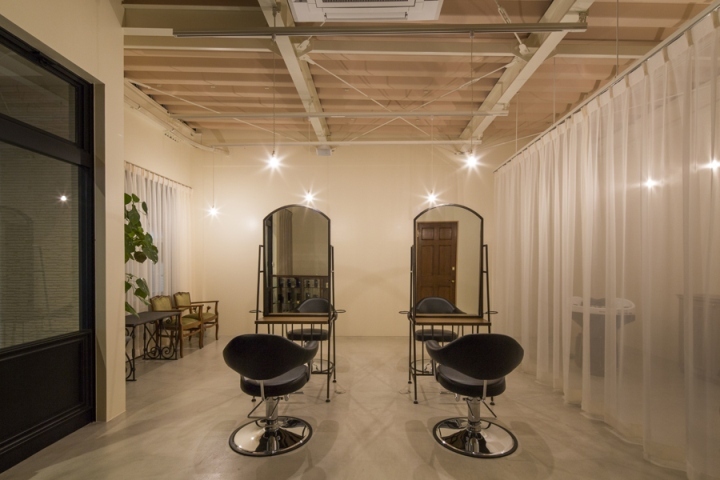 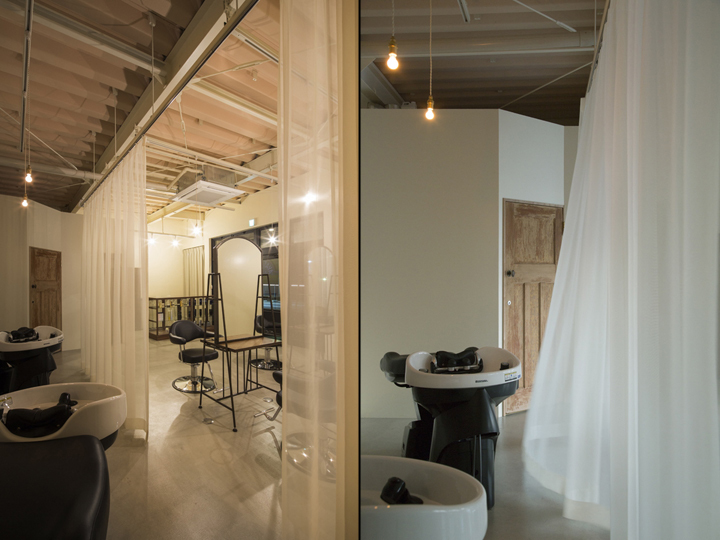 The shop is in a single open space, so that they can increase hair cut sections, or move furniture to reveal a large white blank surface on the wall for photo shooting of the salon’s work. 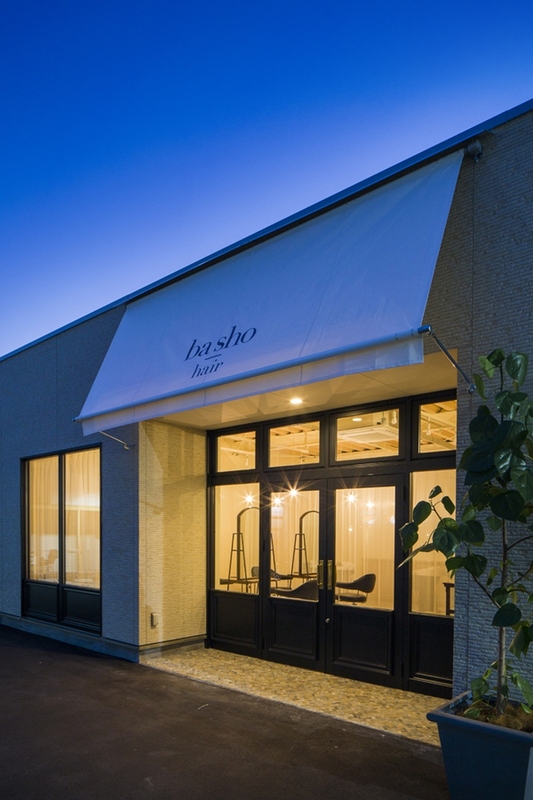 Since the salon is located along the national road, there is a large car parking in front of the shop; in order to make the salon clearly visible from the road without a loud signage, a large, pure-white awning with a simple logo print is attached, to create a visible yet elegant shop sign.